The Galaxy Gear was the first smart watch announced late last year together with the Galaxy Note 3. This was to charter new paths of wearable technology in Samsung. The Galaxy Gear was powered by Android unlike the Gear 2 which came running Tizen OS. Samsung looks focused on driving the smart devices outside of smartphones and tablets with Tizen OS. The Gear 2 announced at Mobile World Congress earlier in the year also had siblings, Gear 2 Neo and Gear Fit. The latter runs Samsung’s proprietary OS. But that’s not what brings us here. The Galaxy Gear misses several features already running on the Gear 2 and Gear 2 Neo. 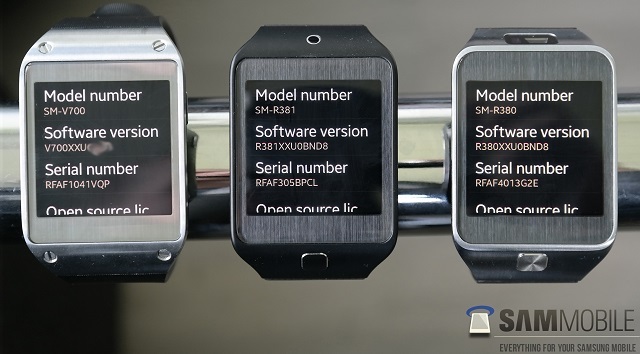 Samsung has already worked on a Tizen version for the Galaxy Gear that looks to bridge the features gap while ensiring that Samsung focuses on one platform for future updates and development. The guys over at Sammobile already got their hands on an early release of the Tizen upgrade and have run us through the new things that come to the Galaxy Gear. There is no definite date as to when Samsung pushes this update as yet but we will be sure to update you as soon as we catch something.